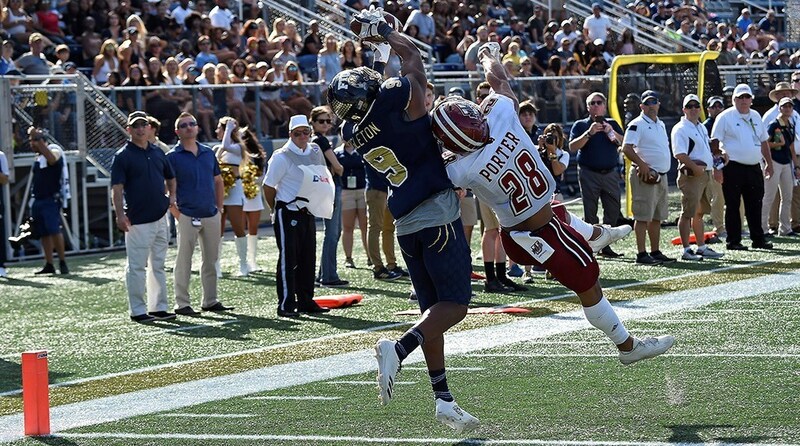 Freshman wide receiver Bryce Singleton (#9) catches a touchdown during FIU’s win over UMass on Dec. 2 at Riccardo Silva Stadium. What a weekend it was for FIU football. The Panthers set a program record during the regular season finale for most points scored (63) in a single game. The previous record for most points scored in a game was set in 2003, when FIU beat Jacksonville 55-12. FIU’s 674 total offensive yards against the Minutemen eclipsed the single game record in that category as well. The last time the Panthers churned that level of offensive production was against Troy in 2010, when FIU torched the Trojans for 668 yards. Freshman Bryce Singleton had himself a day. His three touchdown catches on Saturday was the most for any freshman in program history and tied the single game record set by tight end Jonnu Smith against Middle Tennessee in 2014. The victory brought FIU’s win total to eight games, which ties the program record for most wins in a single season set during the 2011 season. The Panthers (8-4) will have an opportunity to set a new program record for wins in a season later this month. 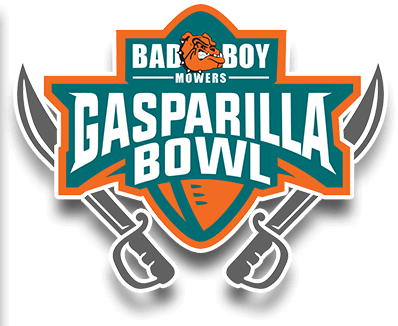 On Sunday, the Panthers found out they will be heading to St. Petersburg, Florida, for the Bad Boy Motors Gasparilla Bowl where they will face the Temple Owls on Thursday, Dec. 21. The game will be held at Tropicana Field – home of Major League Baseball’s Tampa Bay Rays. Kickoff is set for 8 p.m. This will be the third bowl appearance in program history and the first meeting between the Panthers and Owls. FIU is no stranger to St. Petersburg and Tropicana Field. The Panthers’ last bowl appearance in 2011 – a loss to Marshall in T.Y. Hilton’s final game in a blue and gold jersey – was played there when the game was known as the Beef ‘O’ Brady’s Bowl. The Panthers will be looking for a more positive result to close out Butch Davis’s first season as head coach. Tickets for the Gasparilla Bowl are now available and all members of the FIU family are being urged to purchase their bowl tickets through FIU Athletics. Please visit FIUSports.com for up-to-the-minute information, including ticket prices and information about attending the game.